이런걸 샀는데 화이트 노이즈가 너무너무너무 심하다…. 아직 시도는 안해봤는데 가운데있는 NE5532 amp는 왜있는지 모르겠다…. The 5532 is for (unnecessary) differential-single-ended conversion. They use it because of the additional (switched) 3.5mm jack. Otherwise they can't switch between both sources. 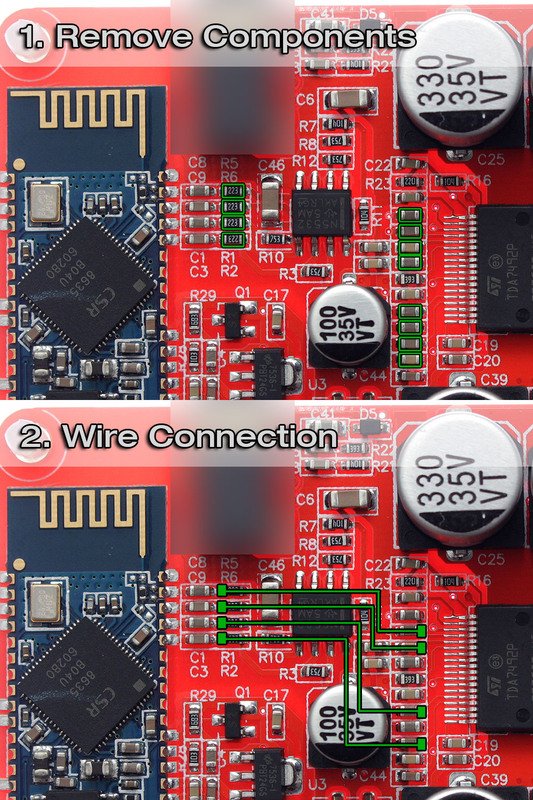 If you mod the board like this, you'll loose the wired line-in. I read the datasheet but I couldn't find that functiton. I might be an idiot. Thanks for visiting my blog and commenting precious information. My board doesn't have the Line-In function, Therefore I think these parts are not necessary. I haven't tried yet due to lack of free time, However I will do it soon and upload some pictures.